I’m an Army brat, which is an endearing term for someone whose dad—or mom—was in the service. I’m also an Army wife and Army mom, and I love the military way of life. When my son was deployed to Iraq for the second time, I wrote MIA: MISSING IN ATLANTA and had hoped to someday publish more books about the brave men and women in uniform. That’s why last year, when my editor asked if I’d be interested in writing a military series, I felt God had opened a door I needed to walk through. As my editor discussed her vision for the series, the U.S. Army Criminal Investigation Division came to mind. “The CID investigates crimes against the military or military personnel or crimes committed by someone in uniform,” I quickly explained. “The CID would provide a perfect backdrop.” My editor liked the idea and gave me the go ahead. Within a short time, I had outlined the first story in my new Military Investigations series, which went on to be titled, THE OFFICER’S SECRET. Being partial to Georgia where I currently live, I wanted to include aspects of Fort Benning in the story. The Army post is located along the Chattahoochee River south of Columbus, Georgia, and is a beautiful military reservation with large grassy knolls, bike and running paths and a new museum located near the river. Growing up, I had lived at Fort Knox, Kentucky, a number of times, and my son had recently been stationed there so that post, with its stately brick quarters, tall oak trees and expansive training areas, also provided inspiration. By combining aspects of Benning and Knox, I came up with the fictional Fort Rickman, a large Army training post near the small river town of Freemont, Georgia, which I also created. 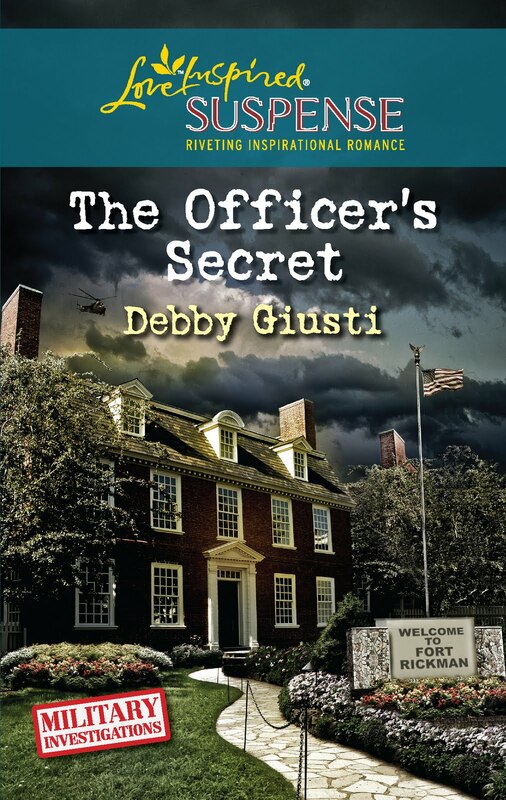 The brick home on the cover of THE OFFICER’S SECRET plays an important role in the story and is similar to the last quarters I lived in at Fort Knox. Built in the 1930s, the grand structure had its own sense of history, and I had often thought about the many families that had made the house their home down through the years. “If only these walls could talk,” I often mused. “What secrets would they reveal?” That question played into the story, as well. The hero, CID Special Agent Nate Patterson reminds me of my real military heroes…my father and husband and son. Nate is a dedicated professional who loves his country. When an officer dies on post, Nate is called in to investigate. The deceased—a female major—has just redeployed home from Afghanistan. Her estranged sister, Maggie Bennett, finds the body, but Nate soon realizes the family counselor from Alabama may be hiding secrets about her past. If you believe in love at first sight, you’ll understand Nate’s instant attraction for Maggie. She’s a bit more reserved and needs time to ensure she can trust the special agent. Although they end up together, the past must be revealed and healed before the investigation can be put to rest. The second book in the series, THE CAPTAIN’S MISSION, features Special Agent Kelly McQueen and will be out in October. Currently, I’m writing the third book in the series, which is Special Agent Jamison Steele’s story. Last year, I walked through the door God opened and accepted my editor’s offer to write about the military men and women who protect and defend our nation, for which I’ll always be grateful. 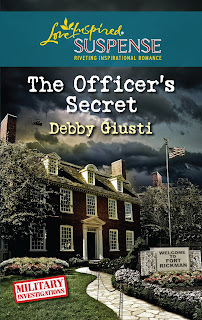 I hope you’ll enjoy reading THE OFFICER’S SECRET, the first book in my Military Investigations Series, as much as I enjoyed writing the story. I'm giving away 5 copies of THE OFFICER'S SECRET on http://www.seekerville.blogspot.com/, May 18. Stop by and leave a comment to be entered in the drawing.